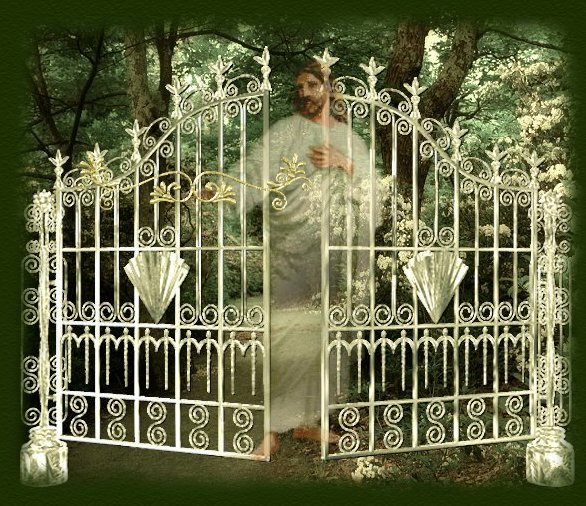 This site was designed to glorify the Lord of Lords and King of Kings, and to share the wonderful message of salvation with all who enter here. "Let not your heart be troubled; ye believe in God, believe also in me. In my Father's house are many mansions; if it were not so, I would have told you. I go to prepare a place for you. And if I go and prepare a place for you, I will come again, and receive you unto myself; that where I am, there ye may be also." What a wonderful promise! If you are already a Christian, then I hope this site refreshes and uplifts you; and that when you leave here, your heart will be filled with the love of our Savior. If you have never placed your faith in Jesus to be your Lord and Savior, then my most earnest prayer is that something in these pages will open your eyes and heart, that you may come to know Him as your own personal Savior. Please don't reject Him, because this life will all be over one day, and Jesus is the only way to get to heaven. Click here for Your Daily Shower! of use. Likewise, please do not use any poetry from this site without permission from the original author. and you must have my consent before using that. See "What Is COPYRIGHT?" please let me know and I will either remove it immediately or get the owner's permission, whichever is desired. I will never deliberately publish anyone else's work without giving them the proper credit. This site is rated safe for viewing by children, grandmothers, and the preacher!